5 Crowdfunding Measures to Combat the Infamous Delhi Smog: How You Can Fight Air Pollution! What a brilliant end to 2017 for Indians: let’s applaud for the country’s capital, which has recently been crowned the most polluted city on earth. Post Diwali celebrations and fireworks, Delhi’s smog levels surged so ridiculously high and didn’t lower. India was already known for its high pollution level. 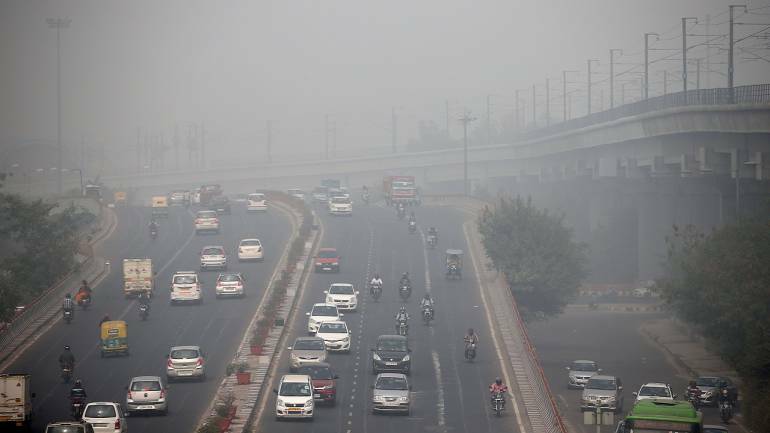 In 2015, a worldwide research reported 9 million premature deaths due to air pollution out of which 2.5 million were in India, the highest from an individual country. However, the recent air pollutions statistics in Delhi were staggeringly high even for India. The reality of Delhi’s smog: how dreadful are the figures? That local air quality monitoring stations measured the city’s air at a perilous 1010, twice as much as the highest limit of the scale. The adequate level at which air is considered safely breathable stands at a maximum of 150. Toxic chemicals and particles in the air choke the residents of the city every day. In November, visibility was so bad at a point that multiple cars crashed on highways, and trains and flights were delayed or cancelled. Combatting this situation isn’t a one-man job – in fact, the efforts of the country’s governing body aren’t enough to reverse the effects. Every community and individual is as responsible to care for their environment as they are entitled to its resources. Provide an alternative to farm fires. Financially distressed farmers are a large working-class segment in a country like India. Thousands of farmers in states like Haryana and Punjab set fire to crop stubble, claiming fire to be the most economical method of removing it. Besides destroying nutrients in the soil, these fires add a major portion to the air pollution choking cities like Delhi. A mere Rs 1000 more per acre provides for environmental friendly alternatives. Consider crowdfunding to help these farmers afford such alternatives save their soil and stop polluting the air further. Distribute masks to homeless and underprivileged people. Lessening the effects of the damage already caused is as important as finding solutions to it. Doctors declared a public health emergency, but the underprivileged are left helpless, unable to deal with the choking smoke. Start a crowdfunding campaign to distribute 10000 or more masks to these families. Support an NGO that fights air pollution. Clean Air Asia works to improve the air pollution statistics in cities and make them healthier to reside in. Create a fundraiser to spread awareness about the nonprofit and fund their efforts. Use a social crowdfunding platform such as Impact Guru that has aided thousands of nonprofit projects and NGOs in their journeys to do good and change lives. Turn to medical crowdfunding to help patients. Did you know that hospitals in and around Delhi saw a rise of 20% in patients that showed up with a pollution-related illness after the rise in smog levels? A large number of these are underprivileged or cannot afford their treatment. Start a fundraiser to help such patients recover. Afforestation. In the end, we turn back to nature to fix what we’ve destroyed. Old and new studies suggest the same results: trees, bushes, hedges, all plants counter pollution the best in the long run. Run a fundraising campaign with a crowdfunding platform such as Impact Guru to encourage communities to buy saplings and plant them around the city.